We are ranked among responsive and responsible Manufacturers and Suppliers of premium Chlororesorcinol in India. We produce products made from imported top-grade raw materials and advanced technologies. Therefore, they are stable, compositionally balanced and highly potent. Buyers can purchase, Chlororesorcinol from us at market leading prices and place bulk orders. There are three isomeric compounds of dihydroxybenzene molecule structure, which all have traditional names respectively. The ortho (1,2) isomer is called catechol (Also known as catechin; pyrocatechol; pyrocatechuic acid), which forms clear crystals used as a photographic developer in solution and as a starting material to produce synthetic catecholamines which have important physiological effects as neurotransmitters and hormonesany (such as epinephrine, adrenaline, norepinephrine, and dopamine). The meta (1,3) isomer is resorcinol (also known as resorcin), which forms clear needle crystals used in the production of diazo dyes and plasticizers. It is produced by sulfonating benzene with fuming sulfuric acid and fusing the resulting benzenedisulfonic acid with caustic soda. Resorcinol is used in resins as an UV absorber. It is used in manufacturing fluorescent and leather dyes and adhesives. Reaction with formaldehyde produces resins (resorcinol formaldehyde resins) used to make rayon and nylon. It is used as a pharmaceutical to treat acne and other greasy skin conditions in combination with other acne treatments such as sulfur. It is used as an anti-dandruff agent in shampoo and sunscreen cosmetics. It is also used as a chemical intermediate to synthesis pharmaceuticals and other organic compounds. The para (1,4) isomer is hydroquinone (also known as quinol), which forms clear prisms used as a photographic reducer and developer (except in color film). It is formed in large quantities by chemical reduction of benzoquinone. This compound is a general-purpose inhibitor, stabilizer, antioxidant, and intermediate. One of the major uses of hydroquinone is as an intermediate to make other inhibitors, stabilizers, antioxidants, agricultural chemicals, and dyes. 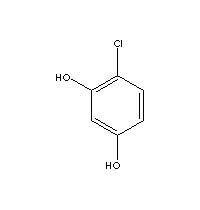 Resorcinol and its derivatives are used in resins as UV absorbers. They are used in manufacturing fluorescent and leather dyes and adhesives (resorcinol formaldehyde resins). They are used as pharmaceuticals to treat acne and other greas skin conditions in combination with other acne treatments such as sulfur. They are used as an anti-dandruff agent in shampoo and sunscreen cosmetics. 4-Chlororesorcinol is used as a chemical intermediate to synthesis pharmaceuticals and as a dye coupler.